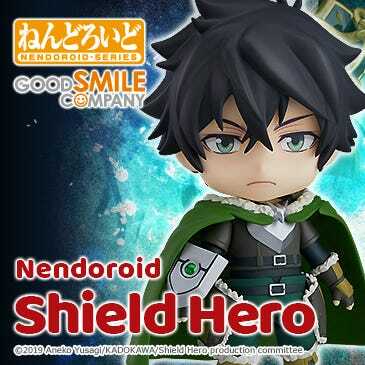 Kahotan's Blog | GOOD SMILE COMPANY Figure Reviews | Nendoroid Horizon Ariadust: Uniform Ver. and Nendoroid More Clip & Suction Stands! Nendoroid Horizon Ariadust: Uniform Ver. 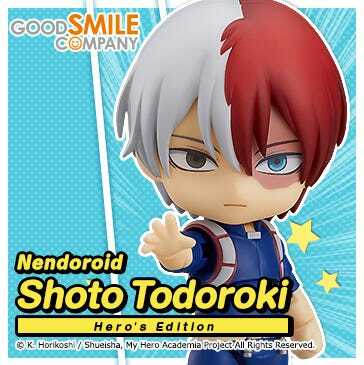 and Nendoroid More Clip & Suction Stands! What on earth is this tower?! Nendoroid Horizon Ariadust: Uniform Ver.! 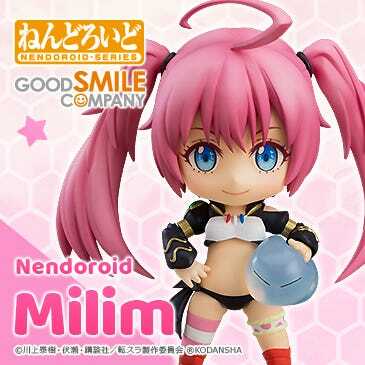 The Nendoroid series follows the keywords ‘Cute to look at, fun to play with and great to collect’, and from the series Horizon in the Middle of Nowhere comes a figure of Horizon Ariadust to join that series! 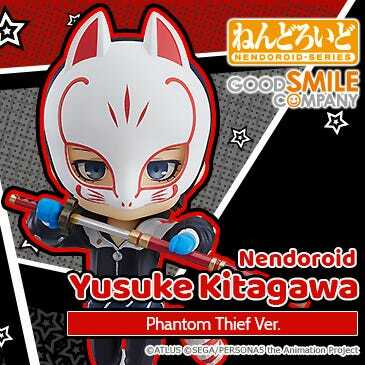 It’s a Nendoroid that fans won’t want to miss out on! 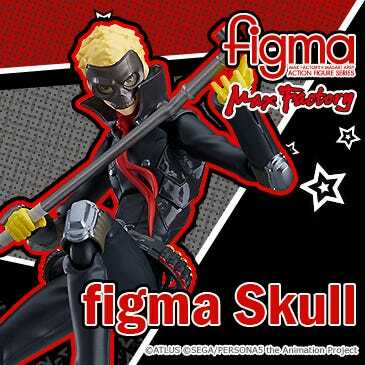 I’ll explain in more detail at the end of the blog, but this product is available from Dengekiya, and won’t be available at our normal partner shops! 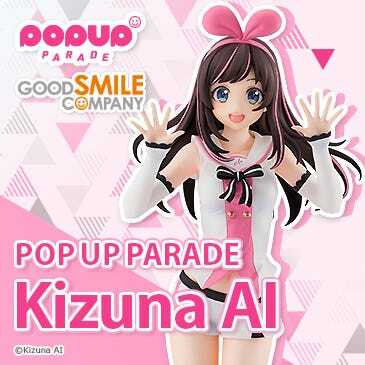 She’s also available at the Good Smile Online Store for international orders! Horizon’s characteristic long hair looks great in Nendoroid size, I love the way the tips of her hair give a feeling of depth! It’s a bit hard to see here, but she uses the standard arm-type Nendoroid stand! The Mortal Sin Armament that symbolizes anguish is included together with arms to hold it for poses like this one! Both the weapon and her uniform have such intricate paintwork – just look at all the tiny little areas that are painted in different colors! You can also see she comes with clasped hand parts which she can hold over her chest to recreate the singing scene from the series! There are all sorts of options for fans to play around with! 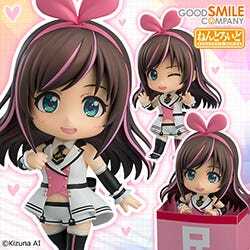 She’ll be available at Dengikiya and the GSC Online Shop! I’ve been told the deadline for orders is actually very soon, so don’t miss out! The newcomers here at Good Smile all worked together to plan these new Nendoroid stands, and they’re now finally ready to be released!! I hope everyone likes them!! Three different connectors are included!! They also work with Nendo Petites and figmas!! From the left, we have a Nendoroid connector, a Nendo Petite connector and a figma connector! That is simply wonderful!! Another thing to note is that the smiley face on the left can be rotated around to any angle you need, ensuring it’s always facing the right way up! The stands come in three different colors including white, pink and mint. I decided to make use a pink one to match up with Sakura Miku-san! I borrowed Oonoshi’s figma Link to test the stand with a figma! It worked great, and even let me pose him as if he were jumping to get an enemy up on the ceiling – these are great for aerial poses! © 2013 TENKY／ASCII MEDIA WORKS Inc.